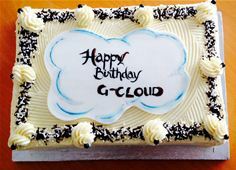 London – 19th February – Skyscape Cloud Services Limited, the easy to adopt, easy to use and easy to leave cloud services company today recognised the second anniversary of the UK government’s G-Cloud programme. Launched to bring about a much needed change in the use and procurement of IT services in the UK public sector, the Framework has opened the market to SMEs, created greater transparency and has boosted competition in what was previously a restricted marketplace. Skyscape’s cloud solutions (www.skyscapecloud.com) will help the UK Public Sector to transform the provision of IT services into a lean, elastic, assured, green utility by providing a genuine on-demand cloud computing service. With a range of UK sovereign services that are easy to adopt, easy to use and easy to leave, Skyscape’s solutions reduce both the risk and cost of delivering IT. Skyscape services have been accredited by CESG Pan Government Accreditor (PGA). The company has signed the government’s Procurement Pledge.